It’s only natural to desire that which is irresistible. 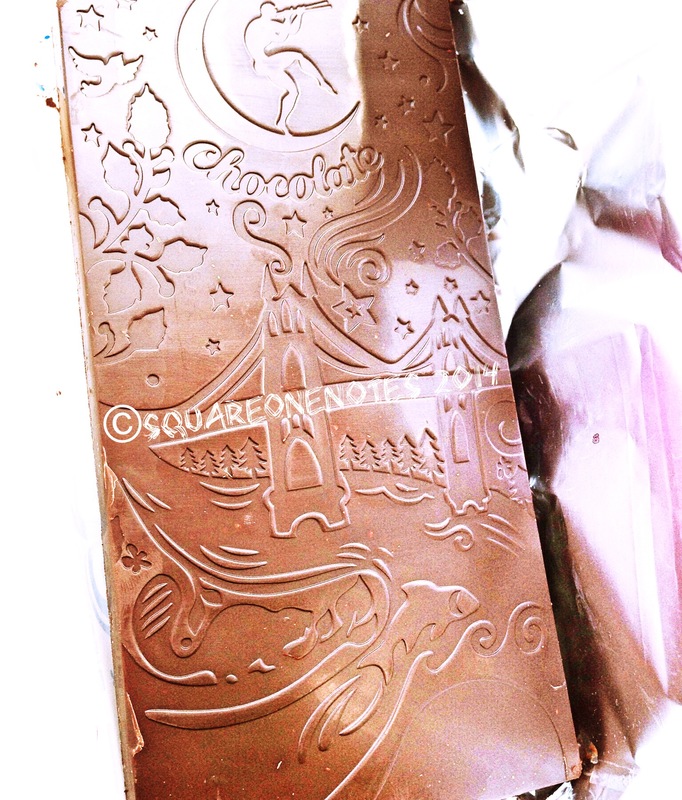 Namely Moonstruck Dark Chocolate Sea Salt Almond. It’s an idyllic combination of the sweet, the salty, and the very dark. Follow your dark thoughts. They know where they’re going. Give in to your cravings. Apparently my dark thoughts are drunk driving aimlessly at speeds of 100 mph because if a chocolate hangover is a *thing* that might explain what I’m experiencing. Dear buyer, do beware. 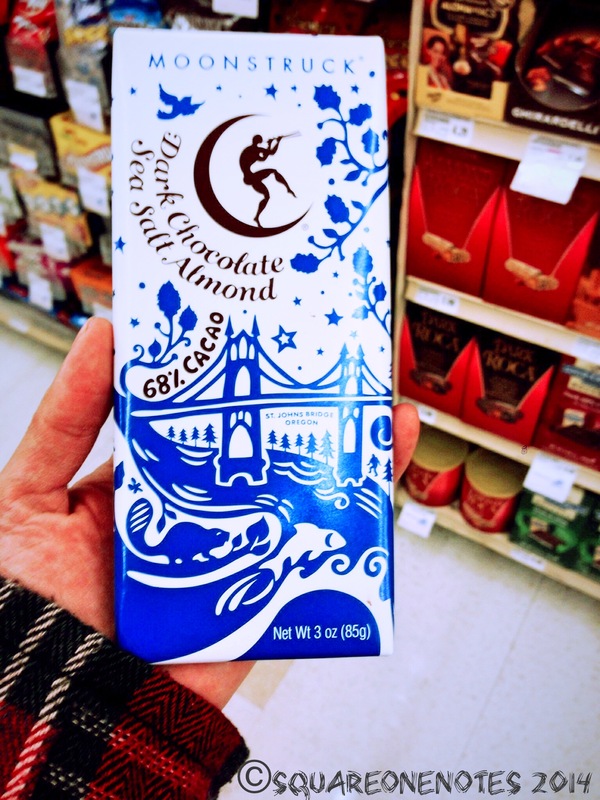 Ridiculously delicious dark chocolate sorcery lurking about the shelves on aisle 6. Looks very yummy. I’ll have to search for it. I do recommend it! Let me know what you think if you find it. Lordy lordy, I am going to have to find this, aren’t I? Affirmative. Don’t walk, run to the grocery store Punk Rock Pal. You won’t regret it. See I’d be the same, wrappers fascinate me and make me want to purchase. That right there is a beautiful bar of chocolate!! Isn’t it? I had to take a picture of the whole enchilada. Beautiful and tasty. Deadly combo. Kerbey, you are so wise. I think I shall follow in your footsteps. Wow… that is just do beautiful! Isn’t it? They did a beautiful job with the marketing and all the details. Well that is evil! How dare they put all that great tasting dark chocolate in one aisle, Sandra!! That’s exactly what I’m talking about Mark. I knew you’d get it. I’m so sorry to have affected you in this way. But I’m so glad you stopped by to say hello! Come on over anytime. I keep chocolate stashed at my site, too. Great! I’ll be right over. You and me both Alex! Nothing better. Chocolate aside. I love your jacket! Thanks Mark! You like plaid too? I love plaid. I love it. Problem is, we don’t really have the chance to wear it here, specially because the material is on the thicker side.. Not ideal in the tropics! Thank you so much April. That is so kind of you to think of me! 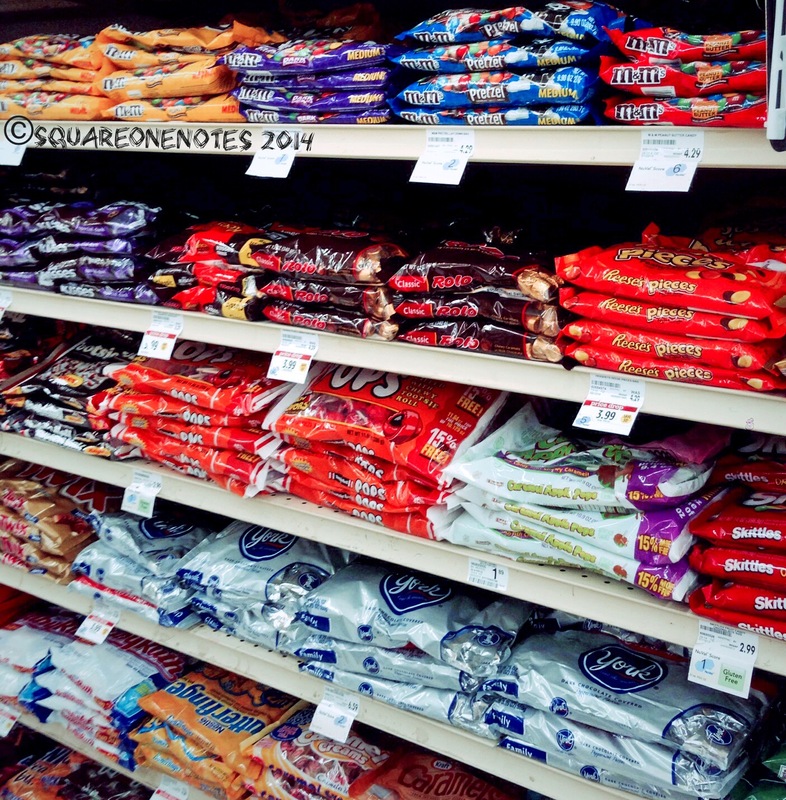 Is it wicked to shop chocolate aisles? Because then I am very wicked. Here is a store in a nearby city in which I’ve found your very brand of Moonstruck. http://www.drchocolate.com/ It’s a castle (well, a castle in the sense that it’s on a busy city block) devoted to all things chocolate. Four floors of chocolate. Hi Liz! How nice it is to find you over here in my neck of the woods. You’re welcome anytime! I will be sure to check out this link you left me. Artisan chocolate is my type of artistry. 😉 Happy Friday. My husband recently went through the Easter clearance aisle at the market and came home with three bags of candy and chocolate… I gave him dirty glares as I stuffed them in my face. Chocolate hangovers? Definitely a thing. Those holiday clearance candy aisles are trouble! I’m glad I’m not the only one powerless to these charms. Thanks for stopping by! So many brilliant things going on in this post—Hunger Game of Carts! Cute jacket sleeve poking into one of the pictures! Chocolate hangovers! Girl, I feel you. Thank you so much! I always appreciate hearing from readers. Stop by anytime. That is one gorgeous candy bar!